MyCarNeedsA.com has partnered with Merseyside Car Repairs located in Wallasey and servicing the Merseyside area. If your car needs a MoT, service or car repair work, simply type your number plate or registration into MyCarNeedsA.com to find MoT Wallasey and garages in Wallasey. By selecting MyCarNeedsA.com you are guaranteed to get quotes from a local trusted garage. MyCarNeedsA.com have a range of dealerships, independent garages, manufacturers and fast fit chains who can provide quotes for the customers to choose from, you can read reviews, compare quotes and accept the quote online. MyCarNeedsA.com has garages in Wallasey ready to quote on all your car needs. MyCarNeedsA.com welcome a new garage to the website based in Liverpool, just off the Kingsway tunnel. Merseyside Car Repairs is a family run business which means the team can offer their unbiased expert opinion and discuss the option that is best for you and your budget. Merseyside Car Repairs has two very skilled mechanics in-house who are fully trained on the latest tools and techniques, including updating to a new Snap On hydraulic ramp. Merseyside Car Repairs are also renowned for their great reviews and repeat customers who talk about the honest and fair service they receive. Merseyside Car Repairs also offer finance on your car repairs including 0% options should you need it. Merseyside Car Repairs are a trusted garage with accreditations and a lot of excellent reviews which indicates the level of work and service that can be expected at Merseyside Car Repairs. Merseyside Car Repairs can repair any make and model car repairs alongside offering complete engine rebuilds which further reflects the skill of the team. 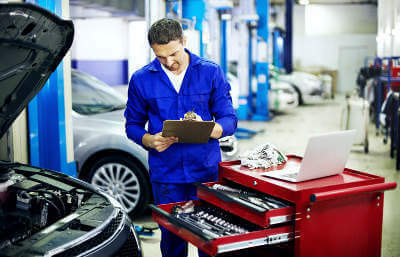 So, if you are looking for a MoT and service in Wallasey, Merseyside Car Repairs you can get quotes through MyCarNeedsA.com today. Merseyside Car Repairs are experts in car repairs, MoT, servicing, bodywork, air conditioning, tyres, car battery, brakes, exhausts, clutch and diagnostics. The highly skilled team at Merseyside Car Repairs there to help get your car back on the road swiftly. So, if you are from Liverpool city centre, Brickend, Vauxhall, Bootle or Fairfield area then Merseyside Car Repairs can supply a quote for all your car needs through MyCarNeedsA.com.